Calypso Farm and Ecology Center is an educational farm in Ester, Alaska, offering hands-on education programs for people of all ages. Calypso was established in 2000 and has grown to host an array of educational programs from farming and homesteading to blacksmithing and fiber arts. The farm itself is a diversified 3 acres of vegetables, herbs and cut flowers, nestled in the boreal forest. Shetland sheep, dairy goats, bees and chickens are integrated into the farm ecosystem. 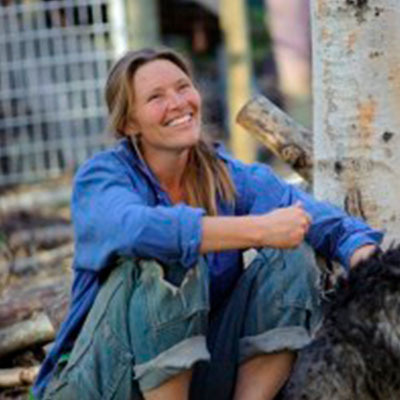 Susan Willsrud is a Co-Director and Farm Manager. She co-founded Calypso with her husband, Tom in 2000. Her responsibilities include implementation of the Farmer Training Program, farm planning, wool product production and teaching. Susan has a BA degree in Zoology from University of California, Davis and a MS degree in Plant Ecology from the University of Alaska. 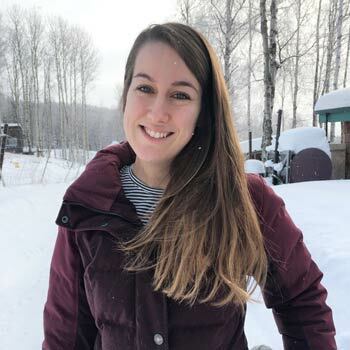 Susan is an enthusiastic advocate for local food and has worked extensively with other organizations and community leaders to forward sustainable agriculture in Alaska. Christie Shell is a Co-Director and Operations Manager. Having been involved in every aspect of Calypso programs and operation since 2001, she is uniquely qualified to oversee operations. Her responsibilities include book keeping, farm production, human resources and educational programs oversight. Christie has a BS degree in Natural Resources with a focus in Environmental Education from Ohio State University. Christie also has extensive experience in environmental education, and farming in Fairbanks. Tom Zimmer is a Co-Director and Infrastructure ManagerTom co-founded Calypso with his wife Susan in 2000. Tom’s responsibilities include building, teaching, soil fertility management, consultation, and community outreach. He is also a sheep shearer and blacksmith. 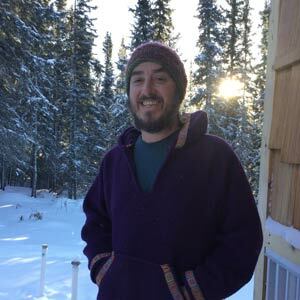 Tom has a BS degree in Geological Engineering from Michigan Technological University and a MS degree in Soil Science from Utah State University. Tom has wide-ranging experience working with diverse agricultural systems, including working as a Peace Corps volunteer in West Africa where he designed and developed a Sub Saharan fruit orchard and nursery and worked to develop home gardens. Abby Hatfield is the Community Outreach and Fundraising Assistant. Her responsibilities include keeping the community abreast of all of Calypso’s programs and events, and interacting with donors and sponsors. Abby is passionate about all things local and believes in the power of community. She is experienced in working cooperatively with the public and establishing relationships to build a stronger, healthier community. She is a freelance artist and is currently pursuing a degree at the University of Alaska in the arts, with a concentration on film photography. 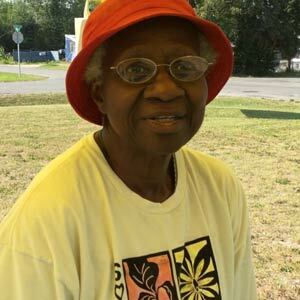 Daisy Edwards is the Manager of the Southside Community Farmers Market. During the market season Daisy runs the information booth at the market, handles food benefit transactions, and makes sure that all vendors and customers at the market feel welcome. Daisy also leads the Southside Market Steering Committee, which is made up of neighborhood residents who guide the on-going development of the market. Daisy is a retired teacher and a beacon in the Southside Community and her community church. She loves working with people and is passionate about creating a community farmers market that is an inclusive and healthy hub for the community. George is the Building Assistant at Calypso. He helps with building maintenance and building new structures on the farm. In addition to being a competent builder, George is a local artist and musician. Are you interested in getting involved with Calypso’s Board?